Highlight amongst Taylor Swift, Lily Collins, Marilyn Monroe, the Mona Lisa and Lady with an Ermine. 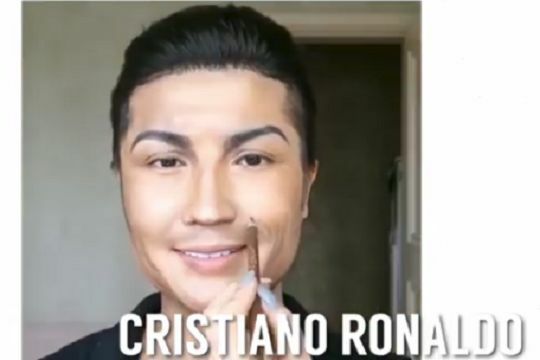 A makeup artist who can completely transform her face into that of a famous person’s exhibits her skills in this showreel that, most notably, includes £105m Juventus signing Cristiano Ronaldo. Yuya Mika shows off some incredible talents in the clip, making herself look like Taylor Swift, Lily Collins and Marilyn Monroe. Mika even manages to replicate the famous Mona Lisa and Lady with an Ermine paintings by Leonardo da Vinci. But the most daring is certainly the captain of Portugal, Cristiano Ronaldo, the only footballer of the group.